A New York native, Marvin P. Fried, MD, graduated from City College of New York, where he received the prestigious New York City Jonas Salk Award and Scholarship. After earning his medical degree from Tufts University School of Medicine, Dr. Fried trained in Otolaryngology at Washington University School of Medicine, where he also was a Fellow of the National Institute of Neurologic Disease and Stroke. He then served as Surgeon (Commander) in the United States Public Health Service in Virginia. 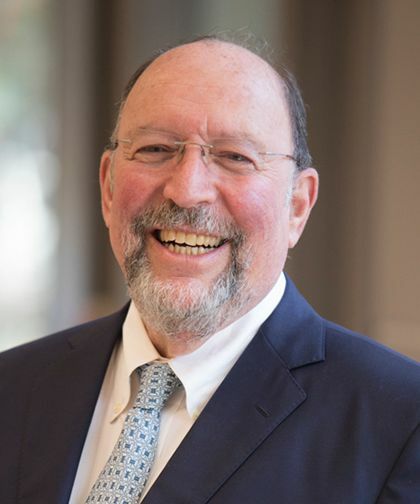 His first faculty appointment was at Boston University School of Medicine and Tufts University School of Medicine, which was followed by 17 years at Harvard Medical School, where he became Professor of Otology and Laryngology. He also served as Chief of Divisions of Otolaryngology at Brigham and Women’s Hospital and Beth Israel Deaconess Medical Center. Dr. Fried has received numerous awards, including the Honor Award of the American Academy of Otolaryngology-Head and Neck Surgery, the Mark Award for Contributions to the Advancement of Laser Medicine and Surgery from the American Society for Laser Medicine Surgery and the Medal of the City of Paris for the First International Symposium offered by Harvard Medical School. He has been listed as a Top Doctor in America by Castle Connolly and among “New York’s Best Doctors” by New York Magazine and The New York Times. He has also held various national positions and contributed to various publications and journals. Additionally, he wrote the nation’s definitive two-volume text on vocal restoration and rehabilitation, entitled, The Larynx, which is used in medical schools across the nation and includes 1,751 pages of medical information and illustrations.